INDMUSIC and TuneCore state they had given artists notification of the mandatory policy change that prompted many copyright claims to be made on artists' behalf. Copyright law was intended to encourage the creation of art to grant artists exclusive rights to their work. As seen with YouTube's recent policy change to claiming of videos, copyright law as it is now can also stifle creativity. The Escapist's Gavin "Miracle of Sound" Dunne woke up one morning to find his YouTube channel with his own content stricken with third party claims from INDMUSIC, a large music network on YouTube. 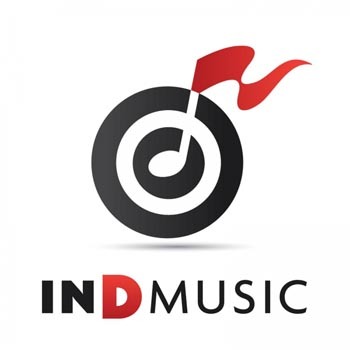 Dunne was one of several artists affected by automated content monitoring and claims sent by INDMUSIC with whom distributor TuneCore recently partnered. In a TuneCore blog post published yesterday, TuneCore stated INDMUSIC is claiming videos on behalf of TuneCore, which TuneCore is doing as a service on behalf of artists signed up with the company for a publishing deal. "When it comes to YouTube monetization, a synchronization license and a license for the sound recording are both needed to generate revenue, and per our terms and conditions, we can license both if the composition was distributed by TuneCore," the post states. Because ContentID is an automated process, TuneCore does not plan to rework the current system, INDMUSIC CEO Brandon Martinez told The Escapist. Artists, however, can whitelist their YouTube channel, and doing so ensures they "will see absolutely no claims placed on their own content and, therefore, no revenue deducted from their earnings." Dunne reported yesterday he was losing 20% on ad revenue from his videos due to the copyright claims. A representative from INDMUSIC has clarified to The Escapist that money for disputed videos are accrued and frozen by YouTube until the matter is resolved. The representative also insisted TuneCore provided information to all of its artists before the policy changed and Dunne "didn't care to read them." "I have searched my email inbox and have not found one single email that states there would be a mandatory change to the terms and conditions," Dunne replied. Emails he's received from TuneCore detailed growing revenue on YouTube, but Dunne said he has not been able to find any information about the policy change in these emails. "I may have indeed missed it and would be happy to have it re-sent, but it seems odd that so many others did too... it seems like a massive communication breakdown." In the past, TuneCore did not have plans to monetize YouTube videos, and if it ever did, artists would be given the option to opt in or out of the service, composer Steven Cravis detailed in emails between himself and TuneCore he posted online. Cravis also notes TuneCore had not sent him any warning of the mandatory policy change. It took Dunne over a day to clear the claims on his videos, but others are still emailing INDMUSIC and waiting for a response. The INDMUSIC representative told The Escapist, "INDMUSIC was very active in responding to Gavin and anyone else who had issues." "Sadly I have heard reports from many YouTubers who claim the direct opposite of this," Gavin said, "including one or two who got claims for using my music and had to plead with me to email INDMUSIC for them as they were coming up against a brick wall or just not getting any response." Dunne supposes this lack of responsiveness is due to a massive flood of emails to the company. "Both INDMUSIC and TuneCore have been tirelessly responding to tweets and e-mails from TuneCore artists, as well as YouTube content creators," Martinez said. "The night of the biggest disruption, I personally stayed in the office until midnight to make sure that every person who emailed us via our contact form or our outreach email received a response." Dunne and other independent composers have given permission to others to use their music in videos. To remove any false copyright claims made on videos where the video creator had permission from the artist, Martinez said, "If a creator has permission to use a song and monetize their video, they need to state as much when disputing a video. They should provide as much detail as possible, including an email address so either INDMUSIC or TuneCore can reach out if necessary. We want to work with everyone to resolve these issues. Dunne notes his experience with TuneCore before this incident has been fruitful for both parties and asks everyone to avoid abusing or insulting employees of INDMUSIC and TuneCore. "I very much hope this situation is resolved amicably for all musicians and that TuneCore can continue to provide us the great service it has done for the last few years," he said.